Vito Moloney Burke was elected DCUSU President on March 9th, after securing over 80 per cent of the votes in his favour. 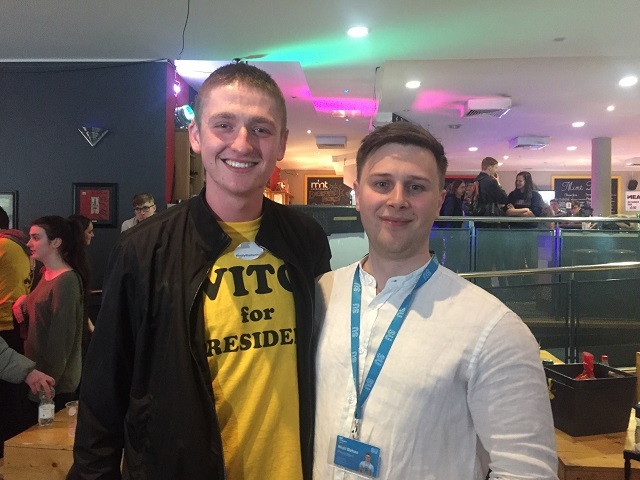 Vito ran uncontested for the position of President of the DCU Students’ Union and secured 2446 of the votes. 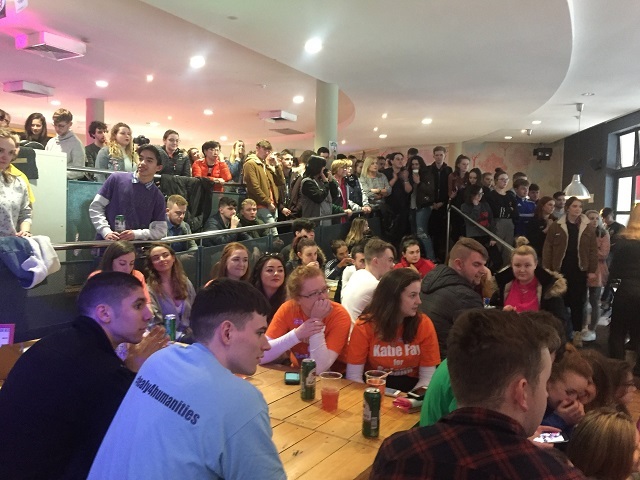 A total of 2984 valid votes were counted for the role of President, a 40 per cent drop compared to Niall Behan’s election last year, which had the highest voter turnout in DCUSU history of nearly 5000 votes. “I’m completely overwhelmed to be honest, I’ve imagined standing here, probably having this interview, for quite a while, it’s every emotion under the sun,” he said. “Still mixed emotions because some of the fantastic candidates we’ve been working with on the ground for the last few days are very good friends of mine and didn’t get it. I suppose that’s always going to happen, but I’m feeling ecstatic,” Moloney Burke said. DCU also voted in favour of supporting the reunification of Ireland, winning with 76 per cent of the votes. A total of 1,494 students voted in support of the motion. 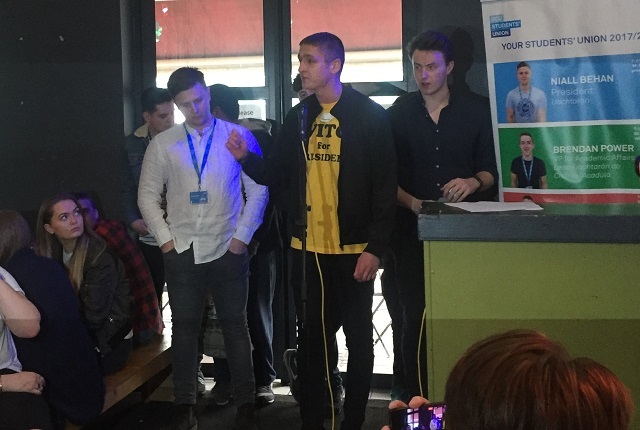 The Students’ Union also voted to support working towards the elimination of single-use plastics across all three campuses. The petition for referendum was put forward by DCU’s Sustainable Living Society and passed with 94 per cent of votes in support of the removal of single-use plastics. Craig McHugh was elected VP for Education and Placement, despite neither candidate reaching quota on the first count. Adam Hanlon was eliminated from the race in the second count and the option to reopen nominations received 1031 votes, compared to McHugh’s 1498 votes. The sole candidate for the position of Vice President for Academic Affairs Callaghan Commons secured the position with 1,917 votes. Karl McGovern was announced VP for Engagement and Development, beating Aaron Harper for the position. Jason Nesbitt was defeated by Aisling Fagan, who was elected VP for Welfare and Equality for 2018/2019. Current DCUSU President Niall Behan commented on the low voter turnout, saying: “I think there was a few things that hopefully next year won’t be there like the snow was a huge impact on the campaigns to get any actual momentum going”. “Obviously the building, the student centre not being finished yet is a huge loss but in general I think there are really good positive vibes down here and I’ve got great expectations for next year’s team,” he said. “I think that he’s heavily involved in all aspects of society life, I think that he’s very well connected which means that next year he has the students behind him,” Behan said.